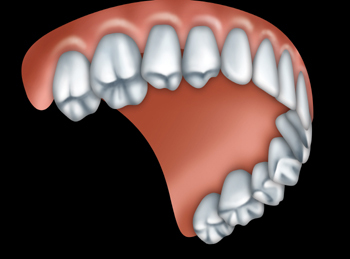 A complete denture replaces all the natural teeth in a jaw. A partial denture replaces one or more missing teeth and can be fastened to the natural teeth with clasps or precision attachments. 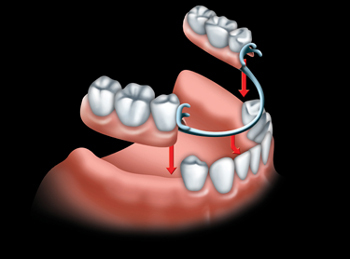 At the Try-in stage we will check how the “waxed up” version of your teeth fit and bite together. We will also check if the shade and shape of the teeth look natural and if you are happy with them. If things are not how we or you wish them to be we will adjust them or send them back to the lab to be altered until we are happy with them. The final fit will be to check that the dentures are fitting comfortably and that the bite is good. You will be given instructions on how to care for your dentures and how to proceed in the following days while you get used to your new denture. What should I do when I first get a new denture? If you feel the denture rubbing or catching the tissues, call the reception team to make an appointment with Peter or Lucy to have it adjusted. If you think you may develop an ulcer, remove the denture but wear it for 1 hour before your appointment so we can see easily where it is catching. With acrylic dentures we recommend brushing with a toothbrush in warm soapy water and soaking in Miltons solution for 15 minutes. If it is a metal denture don’t use Miltons but Corsodyl once a week. Do not use hot water as this will damage the denture and make them more brittle and liable to break. If you develop an ulcer anywhere in your mouth that last longer than two weeks always get it checked by our Dentists. If you are thinking about dentures, please contact us on 01325 284808 to book your appointment.